Notice i said i didnt happen to see them at the games i went to, and asked if anyone can clarify. Would have been nice to see them as well as the male teams. Not to sound bad but, I wasnt just interested in seeing our local team play or too concerned if they were there or not. They may have been sititng higher up in the stands for all we know. I did see staff and maybeb some players of some of the other U20 teams there during the tourney at some point. I knew the other teams were at a higher level and also was analyzing different things from the other coaches before, during and after the game. All a learning experience, and the tourney was a good one overall. I don't know them personally but have seen them throughout the prep. and our team has played against some of them over the course of the year in the WOLF league. 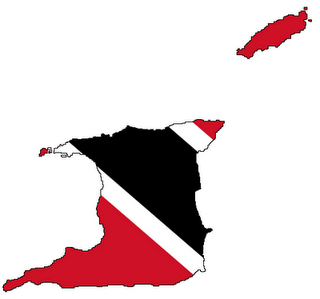 Forbes sees bright future for T&T U-20 women. Forbes recently signed a contract extension until May 2018 with Santa Fe and will travel with the Colombian side to face Athletico Bilbao’s women’s team in Spain at month’s end. The match will be versus Atlético Madrid, not Bilbao. The original idea was to play it on August 31, but that date was not compatible with other logistics. The game will be played on January 31. Ah might be able to make that flex. The match finished 1-1, but there was no Trini Tobagonian on de field. TTFA yet to discuss Women’s Under-20 teams woes. The Trinidad and Tobago Football Association (TTFA) is yet to address the struggles of the national women’s Under-20 football team at the CONCACAF Women’s Under-20 Championships held at the Ato Boldon Stadium, Couva, from January 18-28. Tournament winners Mexico, runners-up United States and third-placed team Haiti all booked their places in the 2018 FIFA Women’s Under-20 World Cup in France. But a major talking point during the CONCACAF competition was the poor display of the Jamaal Shabazz-coached TT team. The hosts were the only country in the eight-team tournament that failed to get a point in the group stage. Remarkably, TT scored first in all three of their Group A matches but failed to hold on for even a draw. They were beaten 3-2 by Haiti after leading 0-2 (January 18), lost 4-1 to Canada (January 20) and went under 2-1 to Costa Rica (January 22). Prior, during and after the tournament, Shabazz lamented the lack of preparation of the hosts and admitted they lacked the required fitness. In a recent interview, TTFA president David John-Williams promised that a debriefing would be conducted to discuss the poor performance of the squad. However, John-Williams was unable to provide a definite date as to when the discussions would be held. The 2018 FIFA Under-20 Women’s World Cup in France is a tournament that will long be remembered by football fans in Haiti. The competition marked the first time that Haiti competed in a Women’s World Cup at any level. It was also the first Caribbean nation ever to qualify for a Women’s World Cup following its third-place finish at the CONCACAF Under-20 Women’s Championship. So even despite defeats in its first two matches in France which ended its chances of advancing to the next round, Haiti has proved that it belongs on the world’s biggest stage. Bolstered by a boisterous fan base, Haiti was narrowly defeated by China 2-1 in its opening match that saw Nerilia Mondesir make history as Haiti’s first goal-scorer at a Women’s World Cup when she converted a 78th minute penalty. That was followed by another close defeat, 1-0 to Nigeria in which the Haiti attack created a number of chances but was unable to capitalize. Nevertheless, the performances have been incredibly impressive, especially when one considers that just one player, Mondesir, plays under a professional contract at a club (Montpellier of France). Add to the fact that on the Haiti roster there are three players who are just 14 years old, including Dougenie Joseph who became the youngest player to ever start a U-20 WWC match in the loss to China, and you have the makings of a very bright future for women’s football. Haiti will look to conclude its 2018 U-20 WWC campaign with a victory versus Germany on Monday. These players merit every platform of recognition. It ought also be stated that their accomplishments should not only motivate other organizational structures, within women's football in CFU, to push forward and to emulate Mondésir et al ... but what they have achieved (not dealing with results per se), but with the ambition evident in their style of play and technical-tactical competence) should also stand as an indictment of the failure in T&T football to better nurture and protect their sister-generation of U20s. Ah wonder if that topic ever emerged at the recent stakeholder discussion on women's football (that for some inexplicable reason was so urgent it had to occur while Shabazz and the WNT were in Colombia)? Seems like two key components were absent from the room. Anyhow, I've been impressed with Haiti in the youth categories across gender. If you all had one or two of our players I wonder where they would be now.